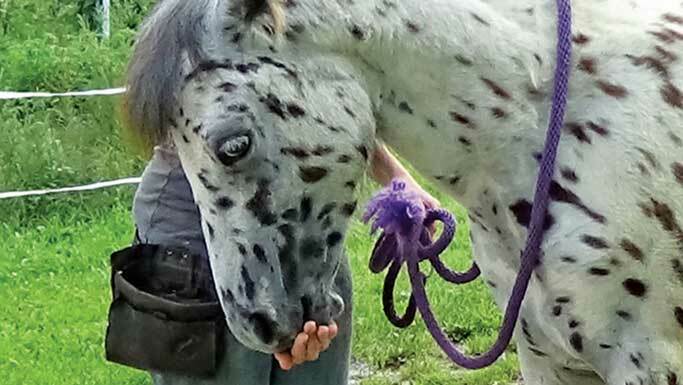 Find out how to boost the calories in your horse’s diet to help put on weight by adding oil to his feed. To put weight on your horse, he needs to take in more calories via his diet, than what he expends in his daily activity and work. So, to gain weight, you need to feed additional calories to your horse and adding oil is a great way to do that. All oils/fats contain almost 9 mcal/kg of energy (calories are units of energy), and oils/fats are, therefore, more calorie-dense than most concentrates (~3-4.5 mcal/kg) or forages (~1.8-2.2 mcal/kg). As such, without having to feed a lot of oil, you can greatly increase the calories in your horse’s diet, which can help him gain weight. Adding vegetable oil is also safer than increasing the grain/concentrate in your horse’s diet to increase calorie intake, due to the risk of colic or laminitis from overfeeding grains. Similarly, fats are considered a “cool” feed and won’t result in any “hot” behaviour you might see in horses that are sensitive to the starch and sugar found in many grain mixes. In theory, all oils have the same amount of calories per unit weight – about 8.9-9 mcal of digestible energy per kilogram. As such, whatever type of vegetable oil is cheap will be sufficient. That said, there are some horses that prefer the taste of some oils over the taste of others (cocosoya oil seems to be popular). Also, there is increasing awareness of the benefits of the omega-3 fats in your horse’s diets (and your own) to potentially improve immune and inflammatory status. You may, therefore, consider having some of the oil that is added to your horse’s diet come from sources such as flaxseed oil, or better yet, fish oil. This is because fish oil contains the powerhouse omega-3 fats – eicosapentaenoic acid (EPA) and docosahexaenoic acid (DHA), which are purported to have such health benefits. Flaxseed oil is high in the omega-3 fatty acid, linolenic acid, which the body can convert to DHA and EPA. Research has shown, however, that horses are not very proficient at this conversion. So, if you’re truly looking for health benefits of omega-3 fats, you should stick to fish oil. 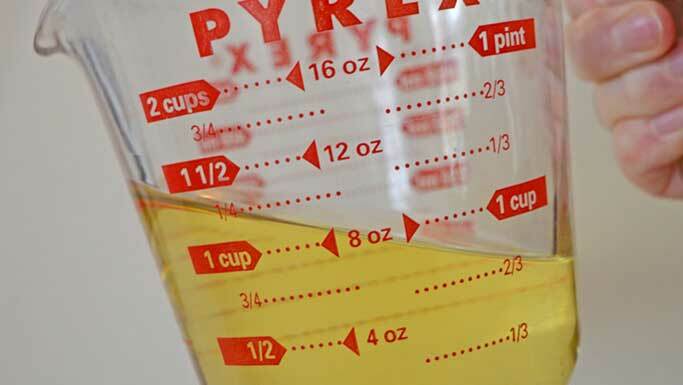 If you’re looking to add calories, you can add one to two cups of oil per day (ideally split into two meals and introduced slowly), and generate about 2.3 mcal of energy per cup. If you want the health benefits of the omega-3s, but your horse doesn’t appreciate the fishy taste, you might want to do a bit of a mix. 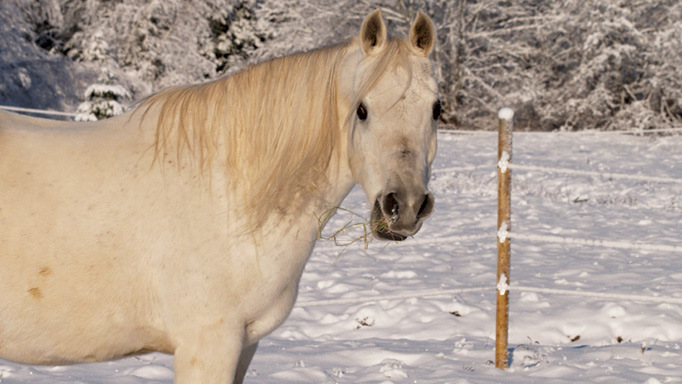 Of course, in terms of weight gain, you also want to make sure you know why your horse is lean. 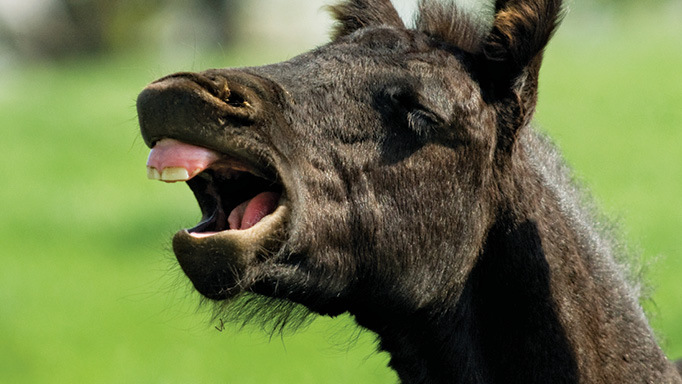 Other causes can include poor dentition, digestive issues, poor quality hay or too much work. 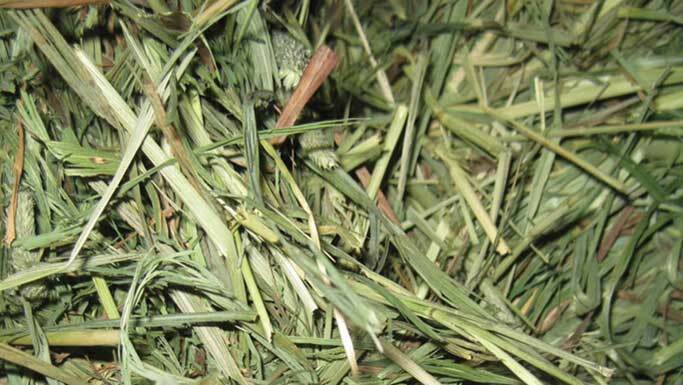 Simply increasing the amount of hay that is fed (either by adding another flake or two of hay, or if they are already eating their fill, adding hay cubes) can also substantially increase the energy intake for your horse. Coupled with adding in some oil to the concentrate you’re already feeding and maximizing the forage intake by your horse should be sufficient to raise the calorie intake enough for your horse to gain weight.